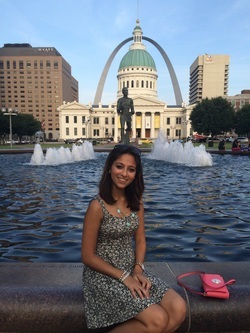 Rana is from Towson, MD and is a senior Civil engineering student with a focus in transportation at the University of Maryland. She has been an active sister since the spring of her sophomore year in 2014. Rana is also involved in the American Society of Civil Engineers, the American Society of Highway Engineers, and undergraduate research. Outside of school, she loves traveling, exploring, going to the beach, eating good food, and of course spending quality time with her family and friends. She is very excited to work with an amazing executive board and lead this amazing sorority. In Love, Peace, and Sisterhood. Samantha is from Moorestown, NJ and is a senior Civil and Environmental engineering student at the University of Maryland. She has been an active sister since the spring of her freshman year in 2013. Sam is also involved in Chi Epsilon, Primmannum Honor Society, and the American Society of Civil Engineers. Outside of school, she loves going to the beach, traveling with her family, playing with her adorable dogs, and being silly with her friends. She can't wait to see what this year's board will accomplish! Hailing from the lovely city of Newton, Massachusetts, Shoshie is a senior studying bioengineering at the University of Maryland, College Park. She has been an active sister of the Upsilon Chapter of A.O.E since she joined her sophomore year, spring of 2014. 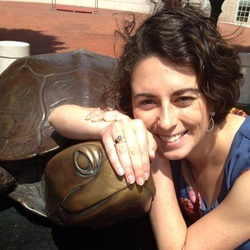 Shoshie is also part of the Gemstone Program within the Honors College and is involved in Hillel at Maryland. When she’s not doing work or studying, Shoshie enjoys training for half- and full-marathons (well not enjoys but does), crafting, relaxing and watching TV, or curling up in bed with a nice cup of tea. She is really excited to be a part of the board this year and give back to the chapter! Nicole is from Clarksburg, Maryland and is a junior studying bioengineering at UMD, eventually pursuing PA school in orthopedic surgery. She has been an active sister since her freshman year in spring of 2014. 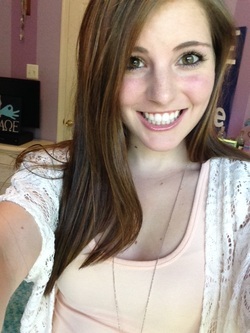 Outside of the sorority, Nicole was a SEEDS mentor and participated in club gymnastics and UMD cheerleading. She is also a member of the Society of Women Engineers, the Biomedical Engineering Society and has received her Flexus (women in engineering living and learning program) citation in spring of 2015. She also loves movies and is a huge foodie. Nicole is extremely excited to work with the new board and have a great year! 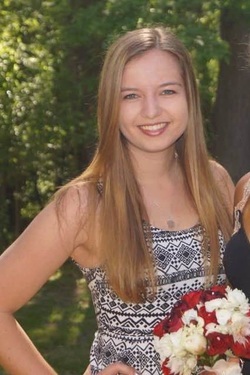 Emily is from Olney, Maryland and is a junior at the University of Maryland, College Park studying civil engineering. She has been a sister of Alpha Omega Epsilon since her freshman year in spring 2014. 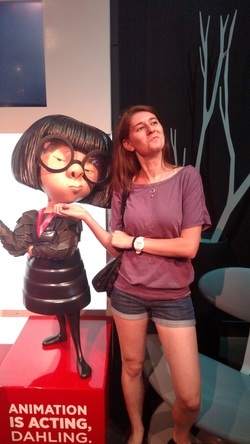 Emily is also a SEEDS mentor, a member of Society of Women Engineers and of the American Society of Civil Engineers. Outside of school, she loves spending time outdoors, going to the beach, crafting, and hanging out with her sisters. Emily is super excited to be part of the board and welcome the candidate class of spring 2015 into the sisterhood! Monique is from Edgewater, Maryland and is a senior Electrical Engineering student at the University of Maryland, College Park. She has been an active sister of A.O.E. since her sophomore year in spring 2014. She researches with her team, Team MUSIC, to integrate music perception with tailored music recommendations through the Gemstone Program. Monique is also involved in Eta Kappa Nu, the Honors Electrical and Computer Honor Society, and Tau Beta Pi, the National Engineering Honors Society. She loves playing her piano and dancing modern choreography. Her favorite hobby is going to the movies. 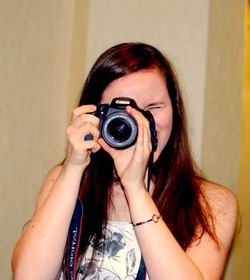 This year Monique is most excited to plan fundraising events for TerpThon! Jillian is from Ellicott City, Maryland, and is a junior studying Bioengineering. She is proud to be a Terp and roots for UMD sports teams every chance she gets. An active AΩE sister since the Spring of 2014, Jillian is also involved with volunteer and mentoring opportunities around campus, the Biomedical Engineering Society, and the Society of Women Engineers. Outside of school, she loves binge – watching Netflix, taking trips to DC with friends, and eating Blaze pizza whenever possible. Jillian looks forward to a great year with her sisters and executive board! Emily, a senior studying Electrical Engineering, is from Towson, Maryland. She has been an active sister of A.O.E since the spring of 2014. 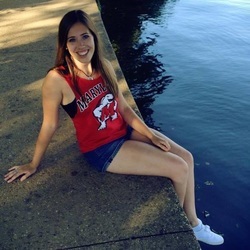 You can find Emily running around campus with Terp Runners, the University of Maryland’s club running team, or researching with Team BIKES, her Gemstone team. Of course she also may be hidden in the A.V. Williams building alongside other members of IEEE and Eta Kappa Nu. A certified caffeine junkie, Emily loves to discover new coffee shops whenever she gets the opportunity. She is looking forward to yet another great year with the Upsilon chapter and feels privileged to be a part of such a wonderful sisterhood!